Now, I feel as though I have hit a brick wall. My problem is that I can only remember so many cupcake excursions of the many that I have had with my family. I know that we visited one in Niagara Falls, Canada, as well as in Newark, New Jersey, but I can’t seem to remember what kind of cupcake flavor I bought or when I went there. Another issue is that my computer crashed at the start of my senior year of high school last year; therefore, I lost a cupcake diary which documented my cupcakes eaten. I am glad that I remembered a bunch of my favorite experiences. I am trying to recall my experience at Cupcakes Gourmet in the suburban Philadelphia, Pennsylvania area, but I am having trouble. I somehow signed up to be on their email list and I continually get monthly emails. Since I don’t even remember visiting, I should probably unsubscribe but pictures of their “Cupcakes of the Month” always make my mouth water. Also, I had a fantastic experience at Vanilla Pastry Studio in Pittsburgh, Pennsylvania. Their cupcakery was adorable. The staff was very nice and helpful. They offered a wide variety of cupcakes on cute white platters. 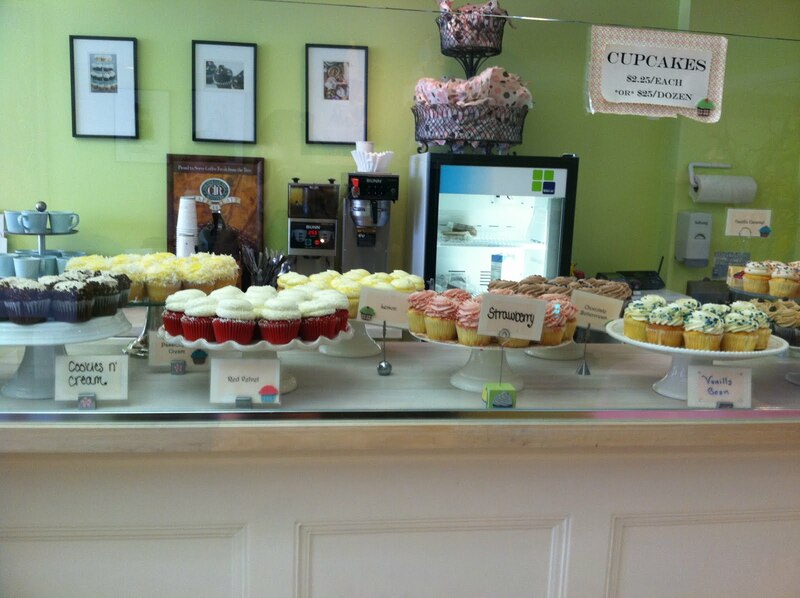 Every cupcake flavor was labelled nicely on signs in front of them, with large enough print to see. Vanilla Pastry has been named the Best Cupcake in Pittsburgh, two years in a row. Their prices were extremely reasonable as one was only two dollars and twenty five cents. They sold one dozen for only twenty five dollars. The Red Velvet Cupcake was very good. The cake was moist and icing wasn’t too sweet. Their cupcakes had a nice touch of glittery sprinkles on the top. My brother enjoyed their Cookies-n-Creme cupcake. He is a true lover of Oreo cookies and he, even as a twelve year old cupcake connoisseur, knew it was delicious. In my next post, I would like to reflect and rate the cupcakeries in light of my experiences. Also, I would love to make a game plan for what I will do next. I am interested in making a bucket list of cupcakeries which I would love to visit. That way, I could document my cupcake excursions after my English 137H course ends, this summer. In the time between the Summer Bridge of the Pennsylvania State University Millennium Scholars Program and my actual freshman, Fall semester, my family will probably take two trips. We plan to visit Pittsburgh, Pennsylvania and Boston, Massachusetts. 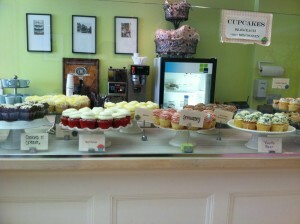 Hopefully, I will find a new cupcake place besides the norm of Georgetown Cupcake, in Boston, MA. That would be ideal.